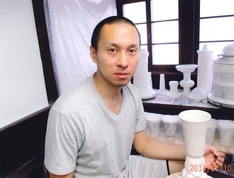 I mainly produce hakuji (white porcelain) and seihakuji (pale blue porcelain). 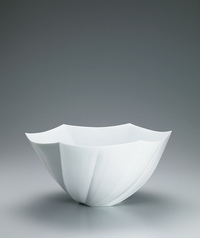 When the round shape turned on the wheel is moderately dry, the surface is scraped off, and then by pressing into the surface with my fingers or by cutting into squares, I give variation to each piece. 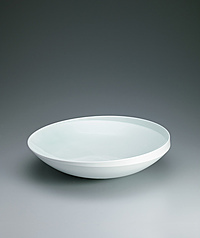 White porcelain bowl with pale blue glaze. 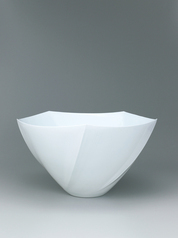 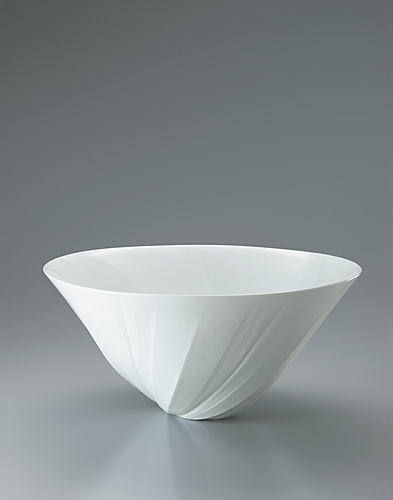 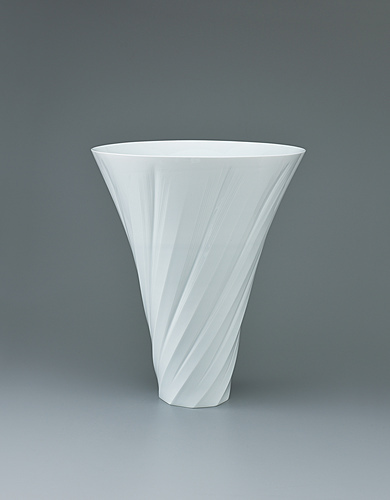 White porcelain faceted flower vessel.